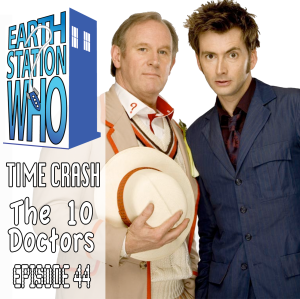 In this episode the crew of ESW finishes off our look at Doctor Who crossovers. 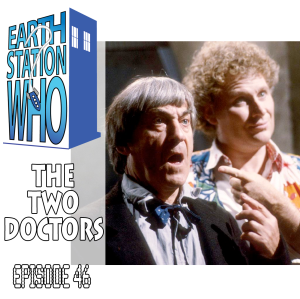 This time out we look at “The Two Doctors”, which feature the return of The Second Doctor, Jamie, and some creatures that look like Sontarans. With Mike G still recovering from San Diego Comic Con, Mike F & The Phantom are joined this week by Jennifer Hartshorn, Dr Scot Viguie, and Josh Wilson to discuss cannibals, time machines and fine cuisine. As a bonus we talk about what had or hadn’t happened Doctor Who-wise at San Diego Comic Con. On this episode, the ESO crew enters the squared circle to grapple with the early origins of the unique world of sports entertainment. 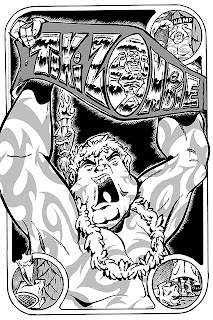 Mike, Mike, and the award winning author Bobby Nash face off against Joe Crowe, Nick Ahlehelm, and John Morgan Neal in the ultimate battle for the ESO title belt. We also chat with Larry Johnson from Cineprov and test his quick wit in The Geek Seat! Plus, some Rants and Raves about the San Diego Comic-Con, the Khan Report, and Shout Outs! This week's Shout Out goes out to everyone associated with the San Diego Comic Con!!! Check out other items in our Amazon estore! Next week, the ESO crew heads back to the theater for a screening of the latest adventure of everyone’s favorite mutant. That’s right, we’re reviewing The Wolverine. But wait, bub, there’s more. We’ll also take a look at Logan’s teammates as The X-Men celebrate their 50th anniversary. SNIKT!!! ESO wants to hear from you! What did you think of the new Wolverine movie? Have you recently visited a cool convention or planning one? Drop us a line at www.esopodcast.com, the ESO Facebook Group, email us at esopodcast@gmail.com, or call us at 404-963-9057 with your comments. We just might air your comments on the show! What would you do if you met yourself from different points in your past? Well, in this episode of ESW, we find out what The Doctor did. With Mike Gordon at SDCC, Mike F is joined by The Phantom Troublemaker and "The 6th Doctor" Ian from the Cultom Collective Podcast to discuss the 20th Anniversary of Doctor Who. As a bonus, friend of the station Lady Soliloque sat down with Gareth David Lloyd (Torchwood’s Ianto Jones) to talk about his visit to Dragon Con this year and his band Blue Gillespie and their new album. 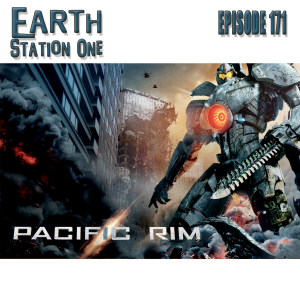 On this episode, the ESO crew powers up their Jaegers to battle invading the Kaiju! 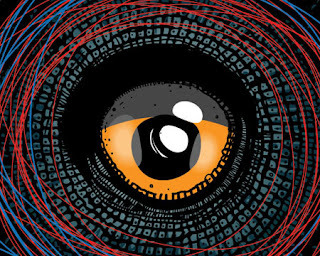 Mike, Mike, Jenn, the award-winning author Bobby Nash, Ashley Bergner, William, and the award-winning artist Mark Maddox join together in one massive neural link to share one another’s deepest thoughts about giant mechs fighting colossal monsters. The apocalypse may have been canceled, but San Diego Comic Con is still on schedule! On the eve of the biggest conventions of the year, we also give our thoughts on the already released info as well as some predictions of news to be revealed. All this, plus the usual Rants, Raves, Khan Report, and Shout Outs! This week's Shout Out goes out to the amazing Tiki Zombie crew! And that includes the fine folks at RA Comics Direct who did a heck of a printing job on such short notice. 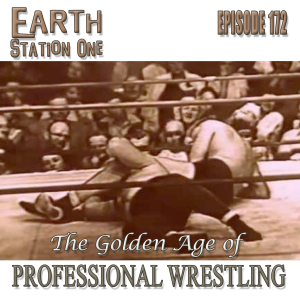 Next week, ESO comes off the top rope for a colossal cage match as we take a look at the golden age of wrestling. Oh, yeah! 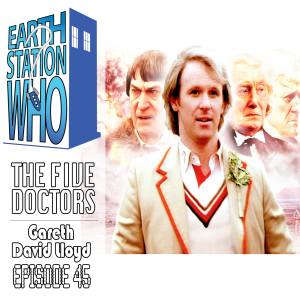 And, if that wasn’t enough, you also get the usual Rants, Raves, Khan Report, Geek Seat, and Shout Outs all on the next exciting episode of Earth Station One. ESO wants to hear from you! Are you a wrestling fan? If so, we'd love to hear your favorite wrestling personalities and memories Have you recently visited a cool convention or planning one? Drop us a line at www.esopodcast.com, the ESO Facebook Group, email us at esopodcast@gmail.com, or call us at 404-963-9057 with your comments. We just might air your comments on the show! The slow days of summer and the living is fine, and the station is filled with reserve members for a jolly ol’ time. With Phantom Troublemaker and Mike G on vacation, Director Faber gathers Jennifer from ESO, Drew Meyer, artist extraordinaire Rich Morris, and newcomer Kris Nelson to continue our discussion of more Doctor Who crossovers. This time out we talk about “Time Crash” (featuring Doctors 5 & 10), and Rich talks about his comic series “The 10 Doctors” and other work. We also talk about The Doctor Revisited featuring the 6th Doctor Colin Baker, and how Michael Jackson almost became The Doctor. EEEKKK! 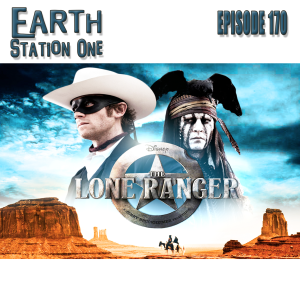 On this episode, the ESO crew travels to the old west to try to collect the bounty on the masked ex-ranger and his Indian companion. Mike, Mike, Jennifer, the award-winning author Bobby Nash, New York Times bestselling author Debbie Viguie, Dr. Scott Viguie, Joe Crowe, and Ashley Bergner cue up the William Tell Overture and discuss the highs and lows of two of the most popular characters in American pop culture from the radio show in the 1930′s to the new Disney movie, the latter of which nearly causes a barroom brawl! Plus, Darren Nowell joins us to rave about the big news regarding Dragon*Con. All this and the usual Khan Report and Shout Outs! This week's Shout Out goes out to the gorgeous, graceful, and generous MeduSirena Marina! Not only is she featured on the front cover of Tiki Zombie #2 Special Edition, but she was the inspiration of one of the featured characters in the first story. Marina performs all over the country, but her home base is The Wreck Bar in Fort Lauderdale, FL. If you have the chance, don't miss seeing her act in person! It’s giant robots vs. giant monsters as ESO heads back to the theater to review the new blockbuster film from Guillermo del Toro, Pacific Rim. Plus, as if that wasn’t enough, you get all this and the usual Rants, Raves, Khan Report, Geek Seat, and Shout Outs all on the next exciting episode of Earth Station One. ESO wants to hear from you! We would love to hear your thoughts on Pacific Rim. Like it? Love it? Hate it? Have you recently visited a cool convention or planning one? Drop us a line at www.esopodcast.com, the ESO Facebook Group, email us at esopodcast@gmail.com, or call us at 404-963-9057 with your comments. We just might air your comments on the show! 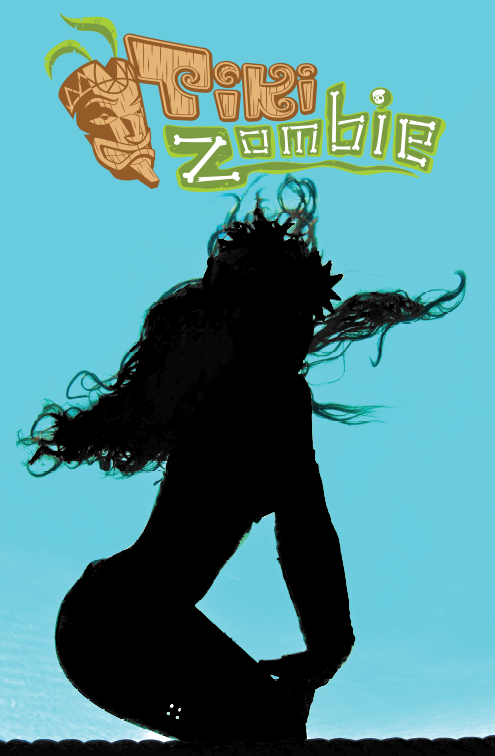 I am extremely pleased to announce that the Special Edition of Tiki Zombie #2 features the spec-tiki-tacular performer, MeduSirena Marina! Copies of this issue will be available this weekend at the San Diego Comic Con. Look for us in the Small Press area, Table M12. Get 'em while they last! 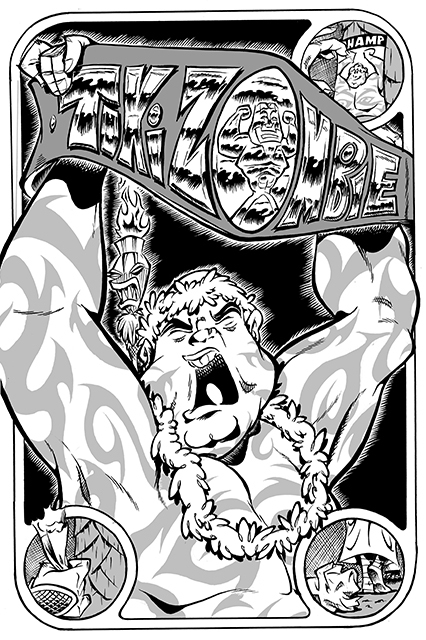 I am so very excited to announce that Tiki Zombie #2 will be available next week at the San Diego Comic Con! Look for us in the Small Press area, Table M-12. And even more exciting is our special photo-variant cover, featuring the spec-tiki-tacular performer who was the inspiration for a new character in the issue. Think you know who it is? All will be revealed on Monday! 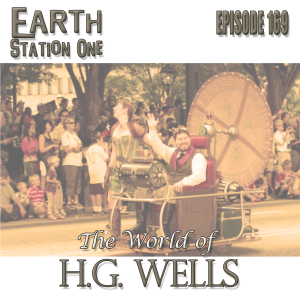 On this episode, the station is full to the brim with folks celebrating the life and career of “The Father of Speculative Fiction,” “The Patron Saint of Steampunk,” “The Shaper of Things to Come,” “History’s Awesome Outliner,” and “That Strange Gent from Kent,” Herbert George Wells. Showing the Wellsian love along with Mike, Mike, Jenn, and the award-winning author Bobby Nash are Mark Maddox and Sean Taylor (two award-winners in their own right), Doctor Q (soon to win an award for something), and Drew Meyer (who should get an award for suffering through The Geek Seat). Plus, we also manage to find some time for Rants, Raves, the Khan Report, and Shout Outs. 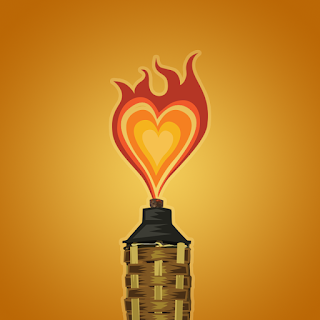 This week's Shout Out goes out to the amazing Tiki Zombie crew! Y'all are the best! Now let's get back to work and have issue #2 done for San Diego!!! Next week, we yell "Hi Ho Silver, Away!" and take a look at character of The Lone Ranger over the years right up to the new movie. ESO wants to hear from you! What did you think of the new Lone Ranger movie? Have you recently visited a cool convention or planning one? Drop us a line at www.esopodcast.com, the ESO Facebook Group, email us at esopodcast@gmail.com, or call us at 404-963-9057 with your comments. We just might air your comments on the show!